"As a psychology student, I have been exposed to so many psychological disorders and I have been told by my lecturers that the symptoms will be bizarre." A few months ago, Shalni S. Sami visited a place which many people may have not gone to. She went to Hospital Bahagia Ulu Kinta, Malaysia's oldest and most notorious mental institution. 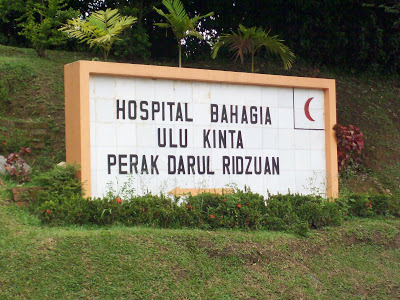 Hospital Bahagia Ulu Kinta in Perak, famously known as 'Hospital Tanjung Rambutan' is often regarded as the nation's eerie "mental asylum" by many people for a long time now. In fact, the name of the institution was changed several times since its inception in 1911, in order to create a more positive image and perception about psychiatric institutions. Over the years, the hospital has received many more visitors as many medical and non-medical groups and certain members of the public want to learn more about mental health care. 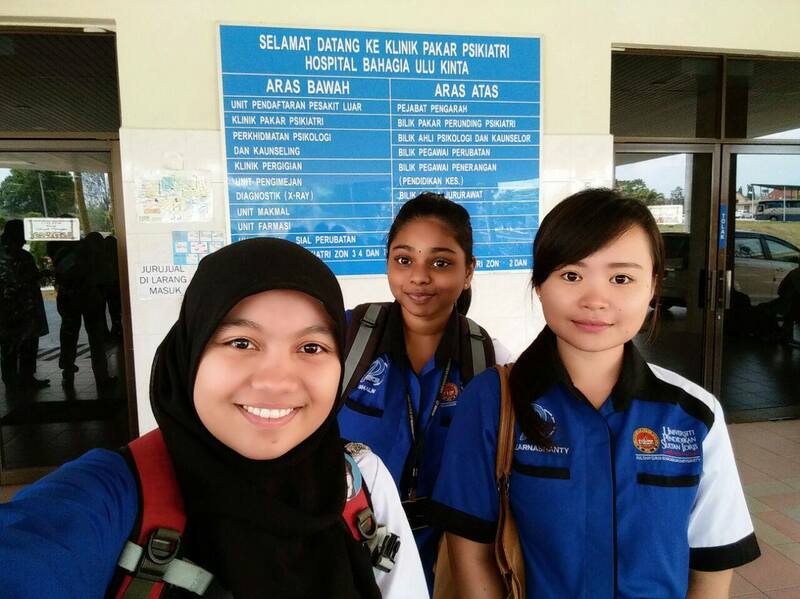 In accordance to this, Shalni, a clinical psychology student, paid a visit to Hospital Bahagia with a group of friends as part of a class trip. She spent less than a day there but it proved to be an eye-opening experience for herself and her friends. The trip started off on a bad note when no one tended to the group of students when they arrived at the hospital. The place seemingly had a tense and unfriendly atmosphere, or as Shalni said it, she felt like they were "unwelcomed". "The first thought that came to my mind when the bus passed through the main entrance was how antique the place is. All the buildings were very old but they are well-maintained," she said. "Sadly, no one came to welcome us when we arrived, and we had to enter their main office by ourselves. Later, we were asked to wait at the seminar room for almost 15 minutes." "We thought that the people there were very cold and our visitation seemed like it was not welcomed there." A clinical psychologist, who introduced herself as Tunku Sarah, attended to them soon after and gave them a talk on Hospital Bahagia and the practices of the hospital. Shalni learnt that there are 1444 patients including inpatient and outpatient registered to this hospital and majority of them are males (969) while there are 475 females. She also learnt that there are 78 wards in Hospital Bahagia, 53 for males and 25 wards for females. Hospital Bahagia is the only hospital in Malaysia that has its own museum. Shalni and her friends had the chance to view many items that have high historical value. Later, they had the chance to tour around the hospital, meeting many residential patients. "When we entered the ward, we were welcomed warmly by the patients and they did not appear to be dangerous or in bad conditions," Shalni noted. She was told by a nurse that patients are being fed six times a day because they are being given powerful drugs that can increase their appetite. Patients in this ward are capable of carrying out the basic survival skills but they are not allowed to go out of the ward. "There is one patient that is considered much stable than the other and she could talk to us. However, patients in this ward tend to elope and get caught by the authorities. In other cases, patients are returned back here by their family members when relapse occurs." Shalni said. While they were at the Work and Training Centre, Shalni and her friends met several people who were making handicrafts such as faux flowers and keychains. These are stable patients who are given simple work to do and whatever that is made will be sold and given to them to buy food from the cafeteria. Here, they met a man who was promoting a handicraft made by his colleague. The man struck up a conversation with them, sharing a little bit about himself. "He told me that he was in the hospital for 10 years, but I could not clearly hear what he was talking about," Shalni recalled. "From what I understand, he is from Kuala Lumpur. He has never been married and he used to cut his neck and insert things into his hands." He proceeded to show Shalni and her friends his scars and they were left dumbfounded at first. When they asked him why he would do that, he said that he does not know either. He also told them that his condition has become more stable in the last two years. "I was shocked to hear that at first. As a psychology student, I have been exposed to so many psychological disorders and I have been told by my lecturers that the symptoms will be bizarre," Shalni said. "However, when it comes to hearing it for myself from the person who has gone through such experiences, it took me awhile to digest the information that was shared with me." Though she was shocked, she held herself together and continued conversing with the man to know a little more about him. "Sadly, I couldn't ask him much about since we didn't have enough time." Shalni (middle) with her friends at Hospital Bahagia. "Though I studied about mental illness or abnormal human behaviour in class, I had a different feeling about the subject when I saw these people with my own naked eyes in a real setting." "I could feel their suffering when I look at them, and I hope that one day I will get a chance to help them relieve their pain in whatever ways possible in my own capacity." Shalni admitted that she felt differently about the place at the end of a trip. 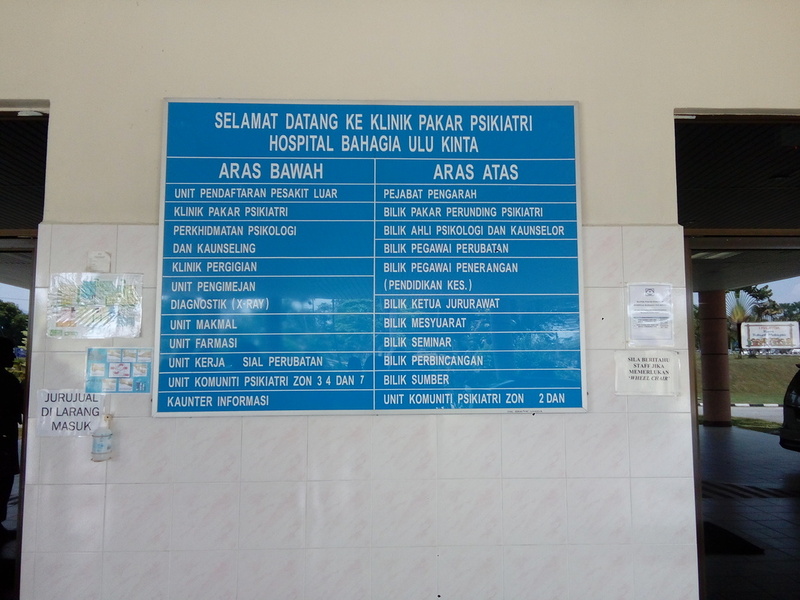 "This visitation did change my perception towards Hospital Bahagia. Before I went there, I thought the place will be very scary and the people there will be quite dangerous. However, my thinking changed once I meet the staff and patients there. I really appreciate all the work done by the staff there." "As we grow up, everything becomes less interesting. You start to develop stress and anxiety."